Lawyers are known for many things, but coming up with different names for different documents is not one of those things. If you decide to do estate planning, you will be introduced to no less than 4 different documents all called Wills. Let’s take some time to get our definitions straight on Wills. A Last Will and Testament is what most people associate with the term “Will”. A Last Will and Testament contains the following information. It lays out who is in the Will writer’s family. The Will writer is called a testator or testatrix, depending on whether the writer is male or female. The Will writer’s family usually lists whether there is a spouse and kids. Next, a Last Will and Testament says who gets your stuff. This is usually the stuff in your house such as jewelry, art, photos, clothing, furniture, sentimental items. Then, a Last Will and Testament says who gets everything else—real estate, accounts, insurance, etc. Then, a Last Will and Testament names someone to be in charge of taking care of all of these distributions, pay all of the bills and close up your affairs. This person is called an executor in a lot of states, but called a Personal Representative in Arizona. Last, if you have minor kids, the Last Will and Testament says who will raise the kids if you are deceased. The person who will raise your kids is called the guardian. A Pourover Last Will and Testament is a Will that goes along with a Revocable Living Trust. 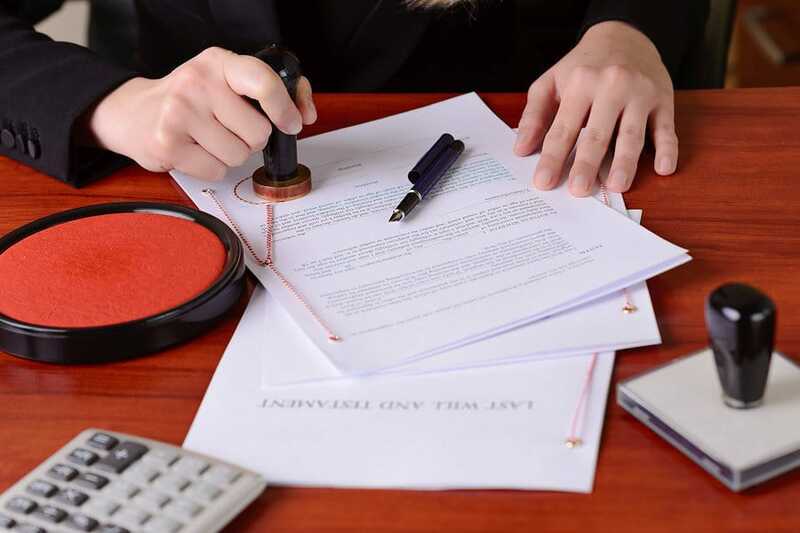 A Revocable Living Trust can only work well when all of your assets are connected to it. It is your job to get those assets talking to your Trust. What happens if you die before you get this job done? That’s where the Pourover Last Will and Testament comes in. It is what I call the “crappy cleanup crew”. It grabs assets that aren’t talking to the Trust yet and forces them to talk to the Revocable Living Trust. The Pourover Last Will and Testament starts a probate and puts the assets into the Revocable Living Trust. This way, the Revocable Living Trust can work properly. A Living Will is also known as an Advance Medical Directive. It basically says to pull the plug. A Living Will likes to live together with a Health Care Power of Attorney. The Health Care Power of Attorney names someone to implement the Living Will. That someone will talk to the doctors treating you and decide when is the right time to pull the plug. A Living Will says if certain conditions are met, you don’t want life sustaining treatment used to keep you alive. The main purpose of a Living Will is to relieve guilt. You are letting your loved ones know that if you are in really, really bad shape, they should not feel guilty stopping life support. When you were able to make decisions, you put the decision to allow for life support to stop in writing. Anyone who has been through the experience of implementing a Living Will knows that it is an agonizing decision and involves a lot of thought and consideration. There is some peace to be gained, though, in knowing that your loved one gave you permission to implement the document. There are no rules regulating how to put together an Ethical Will. It is totally up to you. I can tell you that an Ethical Will is an amazing gift to your family.